Valentine's Day- H is for Heart. We really had a good time this week with all our Valentine's Day activities. I think my favorites were the Pine the Nose on the Valentine and the homemade lava lamp. Both were inspired by ideas I saw on Pinterest. I felt like we were hearts galore this week, so I was really happy when I found the I Love Trucks pack from 2teachingmommies. Although it was still pinkalicious and absolutely adorable the trucks, trains and helicopters made it tolerable for the Little Man. I can't believe we are already thinking about Kindergarten for the Little Princess we went to our first Kindergarten Introduction meeting at our local fundamental school this past Wednesday. Admission is by lottery so we will know next week (Probably on Valentine's Day) if she will get it or not. We hope that she does because we are considering home schooling as a viable option. Our little baby girl is reading, already has over half the Kindergarten sight words memorized and is doing addition and subtraction. We are now working on teen numbers and looking at base ten, counting up from 10 etc. Tonight she was doing introductory algebra on her Innotab tablet (9 - ? =3 and 5 + ? =7). I was amazed that she was getting about 80% of them correct. Little Man has mastered colors and shapes and his counting (1 to 1 correspondence) has improved tremendously. He is still struggling with patters and find the one that is different type activities. He is also beginning to recognize what letter some things start with. He was not very interested in tot school this week so I didn't really push it. I was able to engage him a few times by beginning an activity by myself and narrating out loud what I was doing until he was interested enough to come try it. Also check out our trays for this week here. 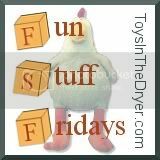 Check out our Fun Friday activity here. 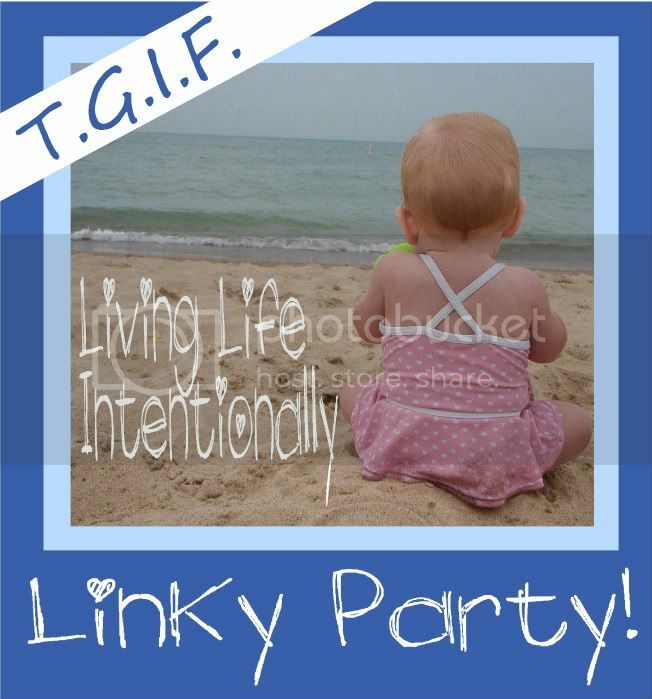 Be sure to check out 1+1+1=1, preschool corner and the TGIF Linky Party to see what others are doing this week. I've added a Follow me on twitter button if you'd like to follow our journey. I love the idea of stamping the letters on the eraser! And the pin the nose on the heart game looks like fun!